The sculptor Barbara Hepworth once speculated that regardless of material, “for the imaginative idea to be fully and freely projected into stone, wood, or any plastic substance, a complete sensibility to the material – an understanding of its inherent qualities and characters – is required”. 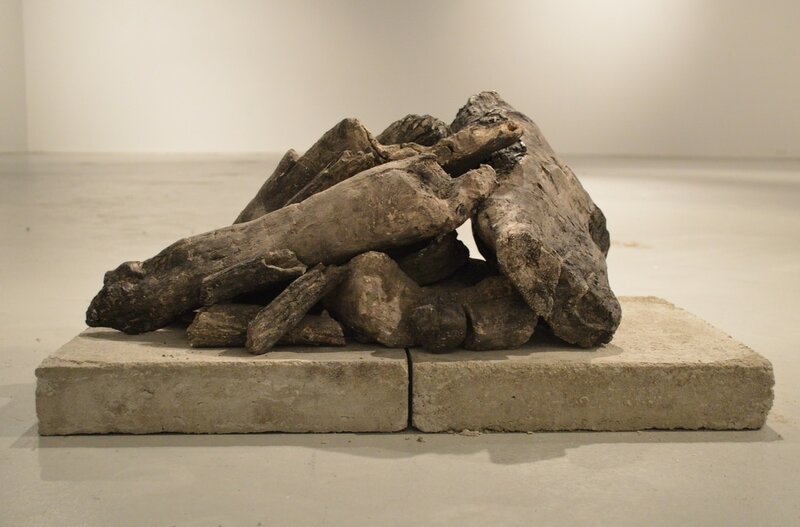 In this spirit I often pose technical or textural challenges for myself to assess my own skills and better my understanding of the possibilities and limitations of my material. 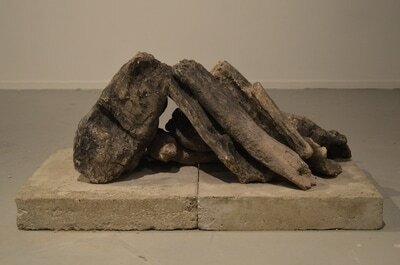 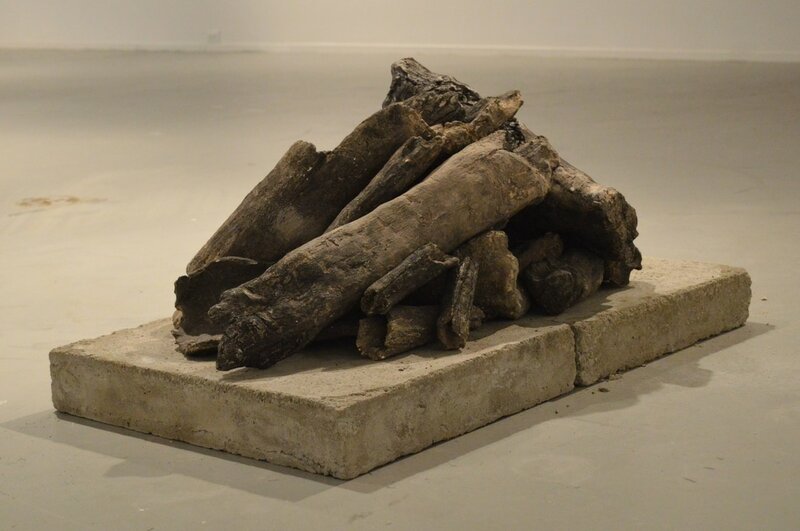 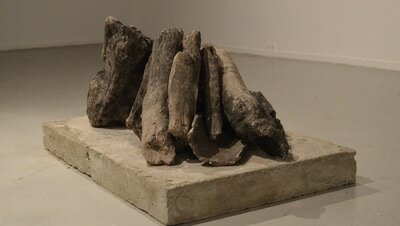 ​This work emerged from a desire to recreate the texture and surface of burned and charred bone. It was an exercise in looking closely and describing minute detail in clay. 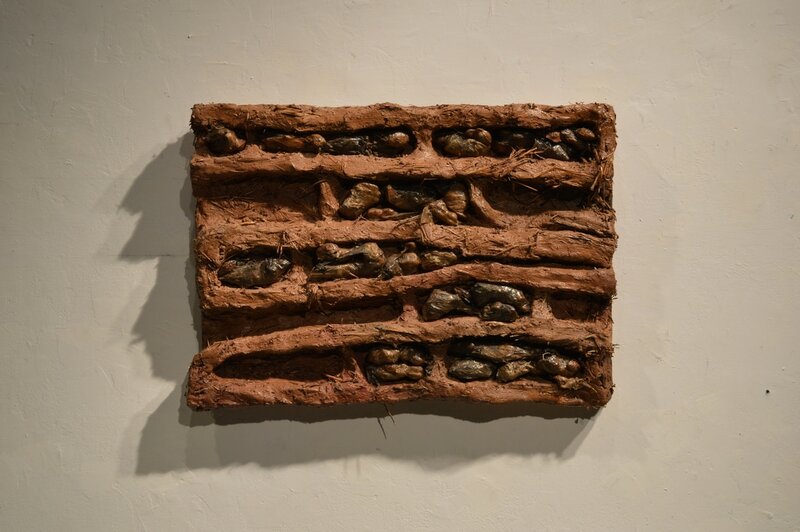 In the summer of 2013 I shared a studio with mud daubers. As they made their nests, I followed along with the process to make my own. 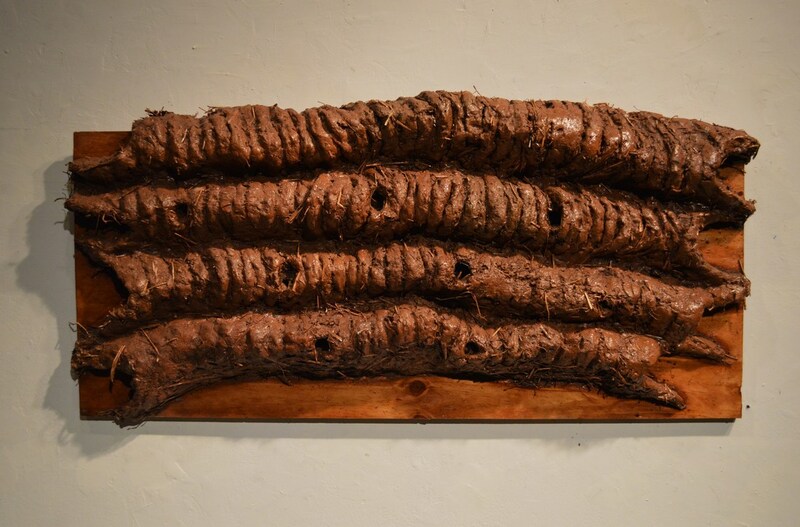 These giant mud dauber nests pay homage to my industrious little studio mates.